Professional websites give visitors the peace of mind that they are dealing with an established lawn care company, while a poorly designed website with little or no functionality could make your visitors go with your competition. There is an old saying that perception is reality and this applies to the web just as it applies to the real world. In many cases, your potential customers will see your website as your storefront. Prospective clients will be able to see your credentials and the services you offer as well as the different options for report and invoice delivery. A good website appeals not only to human visitors, but also appeals to search engine crawlers that rank websites. inspectHost sites are designed to be search engine friendly. The site gives you the ability to edit your "meta tags" which search engines use to index your site. The meta tags should include keywords based on the lawn care and landscaping industry, the services you offer, and your location which will help Internet searchers get to your site when they type in keywords related to these topics. 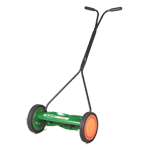 As a GetMowed user, you will have the ability to accept credit card payments on your website or over the phone. If you use the automated report system, you can also choose to have the system email your clients the invoice and wait to send the password to the client until payment has been received. The credit processing system requires partnership with our Merchant Account provider.